It’s simply the Politics of Polar Bears on a global scale that has no basis in science: polar bear numbers have not declined as CO2 has risen. 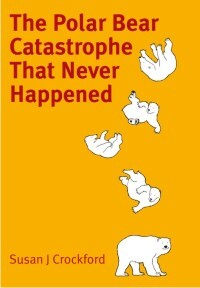 Jens Galschiøt’s tasteless and costly message funded by WWF is not much better than Plane Stupid’s 2009 ad of polar bears falling from the sky (see below). It’s just about as asinine and not supported by science. “A sculpture of an impaled polar bear went on display on Friday in front of the Danish parliament to highlight the impact of global warming. 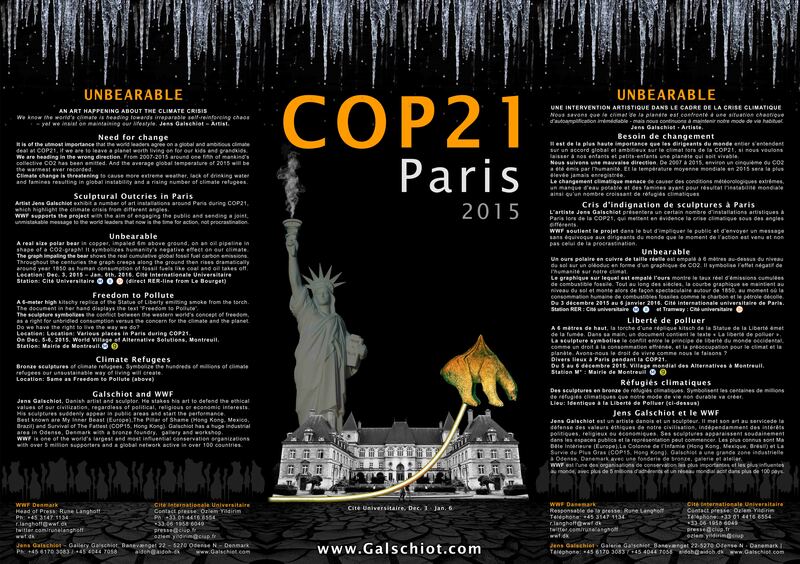 “The natural-size copper polar bear is impaled on an oil pipeline in shape of a graph showing the cumulative global fossil fuel carbon emissions. The graph shows the emissions since year 0. It continues along the ground for 17 metres, then rises dramatically around year 1850 as human consumption of fossil fuels like coal and oil takes off. So here’s my question: Did WWF plow as much money – or more – into this project than the widely self-touted programs developed by the WWF to keep the citizen along western Hudson Bay safe from polar bears? Moving the impaled polar bear installation must come with a hefty cost – even storage must cost a bundle. In my opinion, WWF financial support of this recurring political stunt shines a new light on more practical uses of WWF funds such as the programs it has initiated to reduce polar bear problems in communities around the Arctic. While WWF-sponsored polar bear patrols might appear to reflect an organization selflessly stepping up to deal with a serious problem, it seems to me that WWF this is just more PR. The patrol programs are just a feel-good part of WWF’s on-going message that global warming is a problem for politicians to solve – using the specific message that increasing problems with bears onshore are due to declining sea ice caused by global warming. 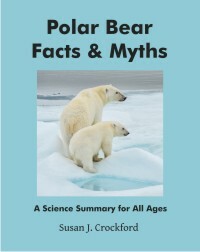 No mention in their polar bear patrol press releases or interviews – ever – that polar bear numbers have not declined (either locally or globally) in recent years or that summer sea ice (both regionally and globally) has shown no declining trend since 2007 (globally – see below), or since 2001 in Western Hudson Bay and Southern Hudson Bay. The previous status of ‘Vulnerable’ was upheld but no projections were made beyond 2050. They said there is only a 70% chance that numbers will decline by 30% over the next 35 years, which is only slightly higher than a 50:50. It also means there is a 30% chance that the numbers WILL NOT decline by 30% over the next 35 years. It stated explicitly that the risk of a population decline of 80% or greater by 2050 is virtually zero (pg. 16). In other words, the status of ‘Vulnerable’ is based only on a possible decline in population numbers and there is no imminent risk of extinction. The current population trend is stated as UNKNOWN and the population size given as 20,000-31,000. 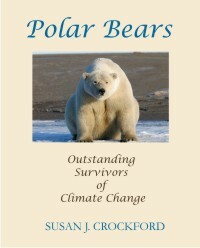 This entry was posted in Advocacy, Conservation Status, Polar bear attacks, Population, Sea ice habitat and tagged attacks, carbon dioxide, climate change, CO2, fossil fuels, global warming, impaled polar bear, oil pipeline, Paris, polar bear, polar bear patrol, politics, population size, sculpture, sea ice, unbearable, WWF. Bookmark the permalink.